I handle both transactions and litigation, so I consider myself to be a bit of a switch hitter. My practice is fairly broad, and I’m comfortable counseling clients on a variety of different business issues, which is important, because at this firm we’re very committed to working together across all the offices. And, with our firm’s large footprint, we have a lot of resources available to service our clients’ needs, whatever they may be. 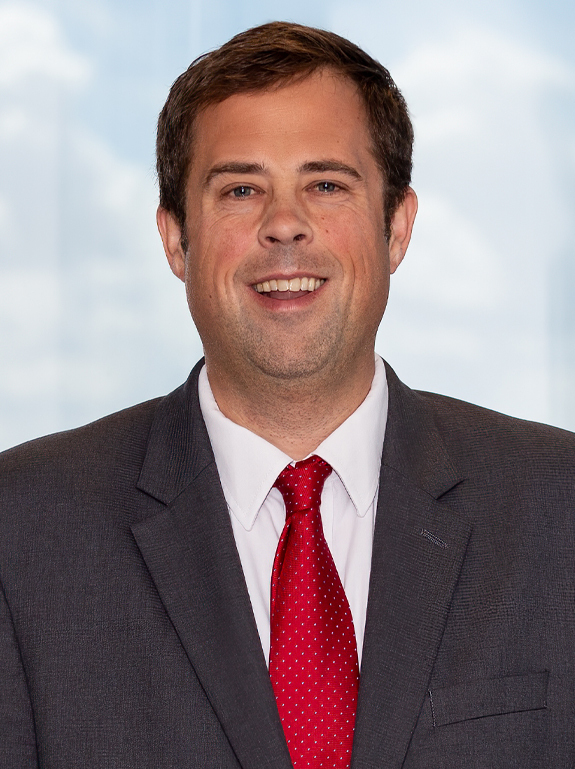 Andrew McBride’s diverse Florida-based litigation and transactional practice focuses on construction, real estate transactions and community association litigation, as well as banking, commercial, bankruptcy, foreclosure and creditors’ rights matters. A member of the firm’s financial services team, he advises banks and other distressed debt purchasers and also documents, negotiates, and closes complex commercial real estate and loan transactions, construction loan transactions and workouts. Andrew handles major multi-million dollar loan and foreclosure litigation on behalf of institutional and private clients, guiding their complex matters to resolution. He also litigates numerous contract, real property and complex commercial law matters, as well as adversary proceedings in bankruptcy court. With a specialty centered on Florida’s large manufactured housing industry, Andrew counsels property-owner clients to help them sort through a myriad of concerns, including statutory compliance and other regulatory matters. He also represents property owners in Fair Housing Act and state and federal law discrimination claims, landlord-tenant disputes and evictions and administrative investigations and actions. Although his practice is wide-ranging, with his phone constantly in hand, Andrew makes it a point to be extremely responsive to each client question and concern, no matter the topic.